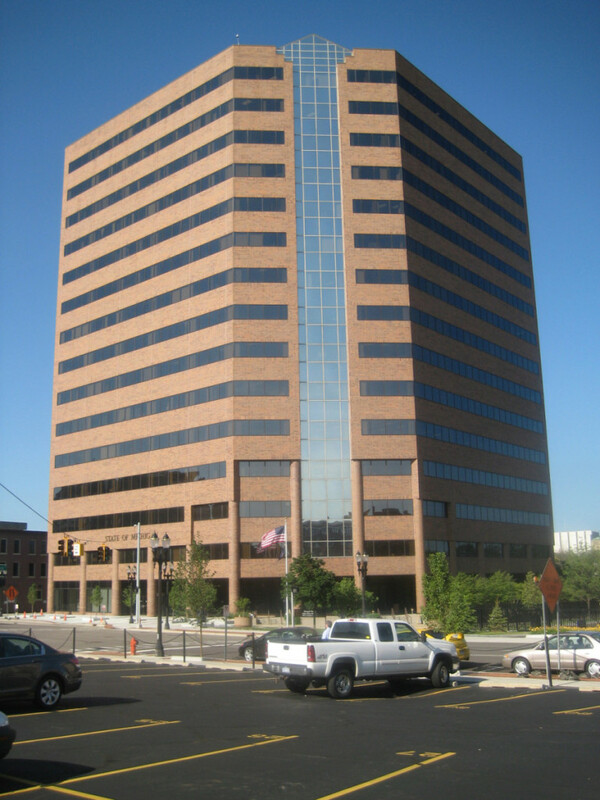 Grand Tower - Byce & Associates, Inc.
Design Program: The Grand Tower is a 15-story office building located in downtown Lansing built in 1989. 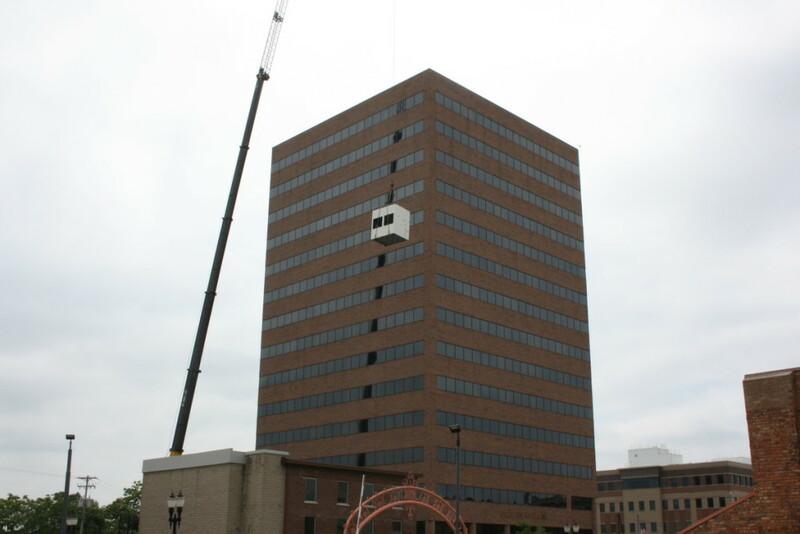 The project included converting the Grand Tower cooling system’s energy source to the District System provided by the Lansing Board of Water and Light (LBWL). This conversion was anticipated to save overall energy consumption and provide the State with an improved utility rate. Other building deficiencies included poor ventilation and an overall negative building pressurization due to the existing Air Handling Units (AHU) having non-ducted return air. Chilled water pumps and LBWL metering equipment was located in the basement and pipes throughout the building. New AHU’s with chilled water coils were provided on each floor with both return air and outdoor air ducted to each AHU. An energy recovery unit was located on the roof to provide fresh ventilation air to each AHU. This positive flow of fresh air to the building eliminated the negative building pressure which resulted in improved overall occupant comfort. Design Challenges: The building had to remain occupied during construction. Both the new and existing systems were to maintain operation simultaneously and in parallel until the total replacement was complete. Challenges included distribution of the chilled water within the building prior to any demolition. Access within the mechanical rooms was limited for both demolition and new equipment though the existing 36″ doorways. 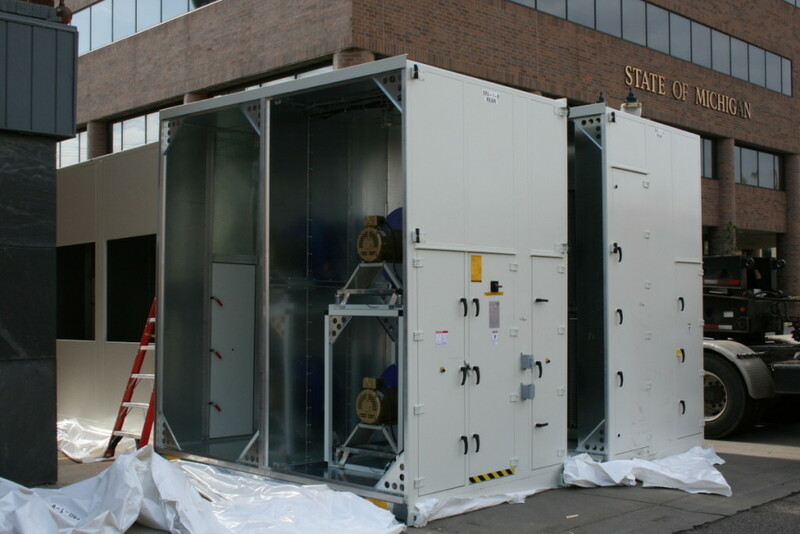 Vertical AHU’s were supplied in a “knock-down” delivery and to be assembled onsite. Knock-down delivery allowed for field assembly of the AHU’s and limited the general trades’ demolition/rebuild for access.